S1 forms and reciprocal healthcare between the EU & UK coming to an end? It would seem that from April 1st 2014, the UK government will not be issuing any more S1 forms to UK citizens moving to Europe. 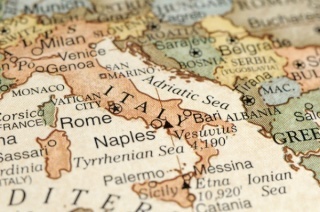 If you are in receipt of a UK state pension you can claim an S2 form to cover your Italian healthcare as it is claimed back by Italy from the UK. This means that non-pensioners will no longer receive 2 1/2 year's worth of medical cover in Italy (or any other European country for that matter). So, from day 1 of your move to Italy you must either be working and contributing in Italy, have private medical insurance for the first 5 years of your residency or pay the annual minimum health contribution (if your ASL allows this). This contribution in Marche used to be around €450 per annum. However, the legislation was put in place to allow non-EU citizens to be covered by Italian healthcare so not all ASL offices permit it for EU citizens. Remember that you cannot get Italian healthcover without residency and you cannot get residency without healthcover so it looks like everyone now moving here must have private insurance at leats initially. Re: S1 forms and reciprocal healthcare between the EU & UK coming to an end? Admin, where does this information come from? I would be amazed if they could get away with that without the EU stepping in. The forms are EU wide and common to ALL EU countries. The cover from the S1 (previously E106) is based on NI payments and their so called benefit year, hence the varied length of time it covered. If it is the case I can't see it not being challenged in the EU courts. A few friends of our have recently raised a complaint regards an infringement of its free movement rules, in relation to another issue. I think this would well come within that. Regards having to have private insurance here, I think that only is the case in certain places (although it may be the legal position). Here no one is interested or ever asked about it. Think you will find it is also a form S1 for pensioners (and those on other long term benefits). If, as the article says no other country offers this residual cover then I can't see how the UK could get into trouble. They will still pick up the tab for emergency cover and pensioners and those on benefits - just not the 'extra' 2 1/2 years for everyone else which it seems they have no obligation to provide. Thanks Admin, I had tracked down a few links to it, This one their so called consultation. I think the UK government is trying it on. Seem they want to be like the French and stick two fingers up at the EU. Well I suspect they will both come a cropper... They are also talking about having tighter control on those going back to the UK for treatment by having better ways of identifying you... They are looking at 2015 for implementing this idea! Thank you, Admin, and I do agree with you in that UK residual health benefits are VERY generous. Also, many EU countries are limiting access to healthcare to citizens from other EU countries except in the case of emergencies. Chronic patients going on holidays must take with them doctor's letters and certificates explaining their condition and the type of care that they must receive on a regular basis. I can already tell you that there has been lots of problems in Spain because of this. I am seriously considering taking Italian citizenship to be honest. It is becoming that if I returned to my 'home' country (the UK) for any reason, I would be treated just the same as someone who emigrates from Italy, Spain, Greece etc despite my 20+ years-worth of taxes and NI paid there. So we live a kind of shadowy life where we are not really British any more but not Italian either. For example we have no right to vote in National elections in either country. It would be interesting to see what would happen if I went back to the UK and got sick (God help me). Would I have to pay????? Yes Gala, cross-borderhealthcare is great in theory but none fo the countries seem to actually want to implement it. For example, Italy has finally passed (or is about to pass) the law allowing you to go abroad to receive specific medical care. Gret you say (especially as we ive near the French border)! However, Italy has decided that you will have to pay for the treatment yourself and then claim it back!!! Can you imagine? Given that the Italian government owes billions to its own citizens there is not much chance of getting that money back any time soon. There are many ways to implement something but really. The only people who could afford it probably have private cover already. Admin wrote: I am seriously considering taking Italian citizenship to be honest. It is becoming that if I returned to my 'home' country (the UK) for any reason, I would be treated just the same as someone who emigrates from Italy, Spain, Greece etc despite my 20+ years-worth of taxes and NI paid there. So we live a kind of shadowy life where we are not really British any more but not Italian either. For example we have no right to vote in National elections in either country.It would be interesting to see what would happen if I went back to the UK and got sick (God help me). Would I have to pay????? ... I don't think anything has changed (nor will it on the GP front). Emergency treatment will continue. The only reason the UK is kicking off is that they pay out more than they take in on the health treatment front. They neglect to take into account the benefits they make out of it and that things can change, especially if you push people to have treatment in other EU countries... I'd much rather we were all EU citizens than have to choose. Can't wait to see what happens when the English, Scots, Welsh charge each other for a basic thing such as health treatment. Admin you will get about half a UK pension when you are about 99 the way things are going! It is very difficult to know what to do and arrangements within the EU should be more flexible. As Steve says, countries seem to "ignore" the benefits of a better balanced system. We were supposed to be EU citizens... weren't we? Steve the interesting thing is I was going to sign up for voluntary NI contributions as I will never work long enough to have a full Italian pension BUT between thinking abut it and asking for the forms the DWP put the minimum number of years contributions up from 30 to 35 years and when I spoke to a very nice lady there she said I should expect them to go up to 40 years any time soon!! Talk about moving the goalposts. We are planning on having to work until we die basically. Granted that, mainly because of the current crisis, everything is in turmoil; however, the EU was supposed to make things easier for citizens and portable pensions, benefits, and to be able to comply with basic requirements requirements should be automatic... Well, we seem to be back in the Middle Ages and the bureaucrats appear not to be able to understand that, under the current situation, we may be born in one country, study in another and work in two or more countries during our working life before retiring. Mobility is nowadays a necessity and we were told that the EU was going to mean free circulation and the right to work and live wherever we wanted, providing that we did not become a burden to a particular country. Well, what has gone wrong? Sebastiano, I think I know which document you mean. Is it the one that says you don't have any convictions? Well, I have good news for you. The Police Service or whatever they call themselves these days do supply this document and what's better you can apply online and they will send it to you! For a fee of course. Maybe Italy will be experiencing an influx of new British/Italian Citizens! Admin wrote: Steve the interesting thing is I was going to sign up for voluntary NI contributions as I will never work long enough to have a full Italian pension BUT between thinking abut it and asking for the forms the DWP put the minimum number of years contributions up from 30 to 35 years and when I spoke to a very nice lady there she said I should expect them to go up to 40 years any time soon!! Talk about moving the goalposts.We are planning on having to work until we die basically. ... a tricky question. There are so many "pros and cons" on this one and they have moved the goal post so many times over the years, none quite so despicable as that of women going from age 60, to 65, to who knows what in such a few years! I've nothing against the principle of equality, but to do it on the back of this in such a short space of time is nothing short of criminal. Could this be of any help, Modi? http://www.unina.it/personale/pta/pensioni/totalizzazionePeriodoEstero.jsp The main problem is that they keep on changing the rules... Good luck! Thanks Gaia, I will sit down and read it with all the anticipation of waiting at the dentists for a root canal! Just realised Modi that the above may make you think you get nothing for the vol contributions, NOT at all, your UK pension is also calculated separately using them and if higher paid... It's complex.